We offer warrantied roofing, window and siding services to protect your home throughout the Central Wisconsin seasons. A-Rite Construction is the trusted roof, window, gutter, and siding contractor of Central Wisconsin. Here at A-Rite Construction it is our mission to serve the community with the most qualified, dedicated workmanship and service. We work with pride and integrity and aim for being a leader in the industry. 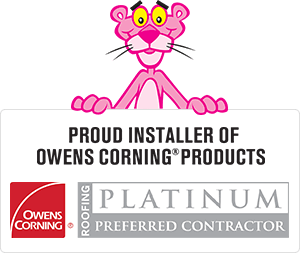 We are a member of the Wausau Chamber of Commerce, offer lifetime workmanship warranties, and are the ONLY Owens Corning Platinum Preferred contractor of Central Wisconsin. We've established a reputation for quality workmanship and customer service over the years that we always aim to not just maintain but surpass. At A-Rite Construction we don't just intend to perform one job for you but to establish a lasting relationship with you for years to come. If you need roof, window, gutter, or siding services in Central Wisconsin then don't hesitate. Contact us online or by phone today for your free quote! At A-Rite Construction we've got you covered. Call or contact us online today for your free estimate! 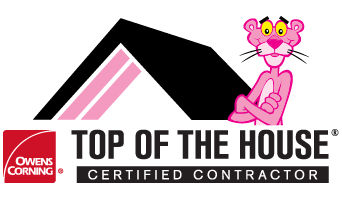 A-Rite Construction is an independent contractor and is not an affiliate of Owens Corning Roofing and Asphalt, LLC or its affiliated companies. THE PINK PANTHER™ & ©1964-2019 Metro-Goldwyn-Mayer Studios Inc. All Rights Reserved.